Healing With Crystals: Fo. . .
Healing with Crystals is a magical journey, which helps you in your quest for self-discovery, self-healing, and healing others. Crystals and gemstones have been used for thousands of years as a powerful healing tool and in today's trying times their benefits have only magnified. 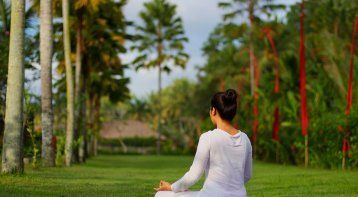 This uniquely designed course will help you to explore the crystal intelligence and know how to harmonize the crystal usage for chakra healing, healing ailments, and clearing your energy fields. Energy Exchange is inclusive of manuals, tea, and snacks. 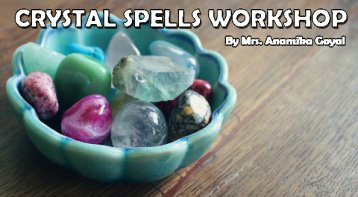 Crystal Spells workshop: Talismans, spel. . .